21 February – 4 October 1890. The First Franco-Dahomean War, which raged in 1890, was a conflict between France, led by General Alfred-Amédée Dodds, and the Dahomey under King Béhanzin. The French emerged triumphant after winning the Battle of Abomey. At the close of the 19th century, European powers were busy conquering and colonizing much of Africa. 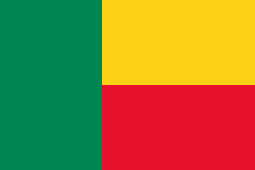 In what is today Benin, the main colonial power was the French Third Republic. The French had established commercial ties with the indigenous peoples of the area including one of West Africa's most powerful states at the time, the Kingdom of Dahomey. In 1851, a Franco-Dahomean friendship treaty was ratified allowing the French to operate commercially and missionaries to enter the country. By 1890, the Fon kingdom of Dahomey was at the height of its power. It laid claim to almost all the coast of modern Benin plus much of south-central Benin as far north as Atcheribé. One of Dahomey's most important tributaries was the small kingdom of Porto-Novo near the coast. The kingdom had been at odds with Dahomey on and off since the middle of the 18th century. In 1861, Porto-Novo was attacked by British anti-slaving ships. Porto-Novo asked for and received French protection in 1863, but this was rejected by Dahomey. Another issue of contention was the status of Cotonou, a port the French believed was under their control because of a treaty signed by Dahomey's representative in Whydah. Dahomey ignored all French claims there as well and continued to collect customs from the port. In 1874, King Tofa took power in Porto-Novo and re-established French protection over the kingdom after Dahomey attacked it in 1882. Dahomey continued raiding the town, which culminated in an incident that brought the Fon and French into war. In March 1889, Dahomey attacked a village on the Ouémé where a village chief under the protection of the French. After remarking that the flag of the tri-color would protect him, the Fon commanded one of his Dahomey Amazons to behead him and wrap his head in the flag. Then in March of that year, France sent a mission to Dahomey's capital of Abomey to assert its claims to Cotonou and offer an annual payment. The crown prince and later king Béhanzin received the mission but nothing was achieved other than mutual distrust. France responded to these events by building up its force in Cotonou to 359 men, 299 of which were Tirailleurs or French trained Senegalese and Gabonese. On February 21, the French arrested the senior Fon officials in Cotonou and began fortifying the town. Skirmishes with local militia also broke out. It wasn't long before word of this got back to Abomey. Dahomey sent a force straight to Cotonou with plans to bring it firmly back under Fon control once and for all. On March 4, a Dahomey army of several thousand charged the log stockade around Cotonou at approximately 5 in the morning. This was usual for the Fon army of Dahomey that almost always marched at night and attacked just before dawn. Prying apart the stakes and shoving their muskets through, the Fon fired into the enclosure. Some even managed to surmount the 800-meter perimeter inflicting casualties within the walls. After four hours of intense fighting, often occurring hand-to-hand despite withering French firepower and even gunboat shells, the Fon force withdrew. The French sustained few losses, but the Fon suffered several hundred dead (129 within the French lines). After regrouping, Dahomey sent another force south, this time toward Porto-Novo. After receiving numerous reinforcements, the French ordered between 350-400 men with three field guns to march north and intercept the Fon. This time, the French would be assisted by warriors from the kingdom of Porto-Novo. Some 500 of King Tofa's warriors marched ahead as a screening force. Barely 4 miles outside of their target, the Dahomey army encountered and routed the Porto-Novo force. A group of tirailleurs fighting alongside the group did hold its ground, allowing the rest of the French force to form a defensive square. For over two hours, the Fon attacked the French square with numerous charges forcing. The Dahomey force was able to fight the French all the way back to Porto-Novo before breaking off the attack and returning without taking the city. Dahomey did not launch any further attacks on Cotonou or Porto-Novo. 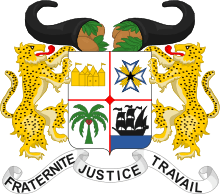 On October 3, 1890, Dahomey signed a treaty recognizing the kingdom of Porto-Novo as a French protectorate. Béhanzin was also forced to cede Cotonou, but did receive 20,000 francs a year for giving up his customs rights. The war was a resounding victory for France and a humiliating, though eye-opening, experience for Dahomey. Despite the treaty, both sides believed peace could not last and made preparations for another decisive encounter.